Long Island is famed for its vast variety of birds and wildlife. In particular, the East End and Pine Barrens regions are known as home to more than 85 different bird species including several different varieties of sparrows, ducks, warblers, hawks, and many more. Ornithologists value the Pine Barrens region due to its diversity of bird species. Many of these birds will make their nests in just about any available space which unfortunately includes homes and businesses. 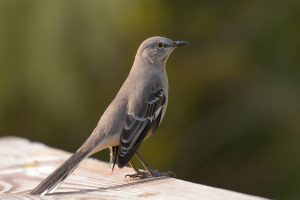 If you see birds building nests in your home, it’s time to call the wildlife removal experts at Twin Forks Pest Control. Birds are creatures of habit and will return to the same location year after year to build their nests. They will find a secure location to build their nests, such as the insulation in unfinished attics. Bird nesting materials such as twigs and branches can be potential fire hazards. Nesting materials can cause drains to back up, causing water damage. Bird nests can block exhaust vents and create dangerous carbon monoxide levels. Bird droppings are damaging in addition to being unsightly and unhealthy. Bird droppings contain enough acid to permanently damage home air conditioning units, exposed metal on outdoor barbecues and patio furniture, and even car paint. Birds and bird droppings carry a wide variety of diseases which can be dangerous to humans. Histoplasmosis is a potentially fatal respiratory disease, cryptococcosis is a pulmonary disease which later affects the central nervous system, St. Louis encephalitis causes paralysis, coma, or death, and better known diseases including salmonella and E. coli. Birds also carry parasites which can be transmitted to humans. Protect your family and your home or business by getting rid of birds today. Our wildlife removal experts humanely trap and remove whatever animals are invading your home. Our work is guaranteed so you don’t have to worry once we leave. Give Twin Forks Pest Control a call today at 631-287-9020 or fill out our online service request form to schedule your free wildlife removal estimate. Whether you’re in Cutchogue or Aquebogue, Twin Forks Pest Control can help!